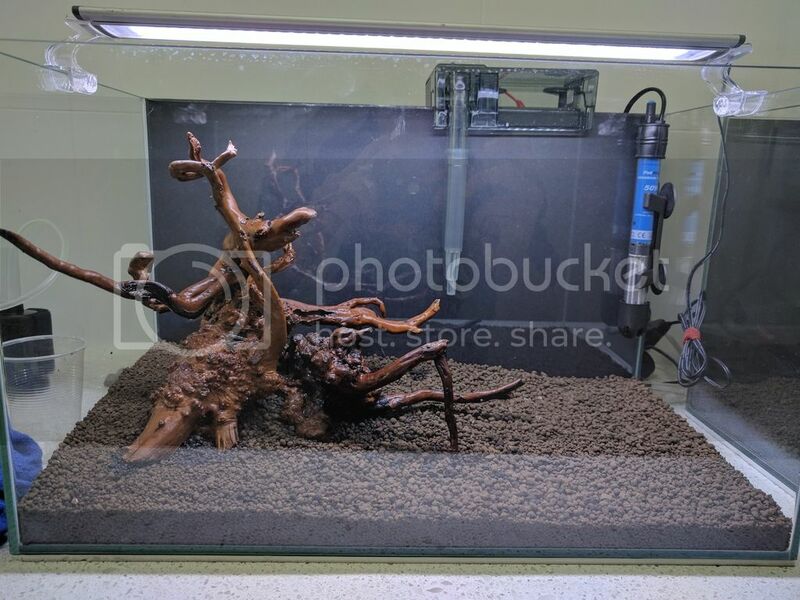 Just starting a little planted Celestial Pearl Danios Breeding setup. 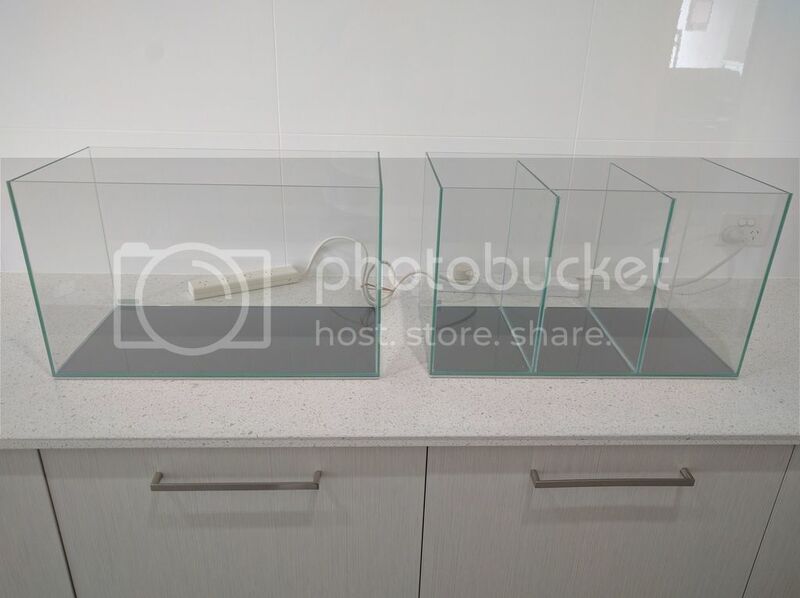 Got two 40l tanks, one of them split into three. Plan on using a slightly different method of breeding to normal which I used successfully before. 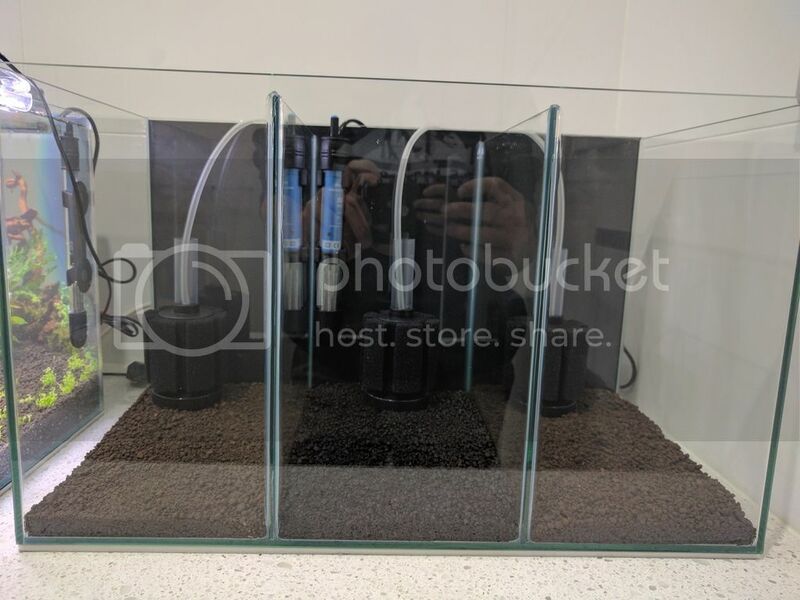 By having a carpet plant such as HC or MC I have found that CPD's lay there eggs in there and these can simply be siphoned out and place into separate tanks. Have done this before with HC so hopefully it works with MC. 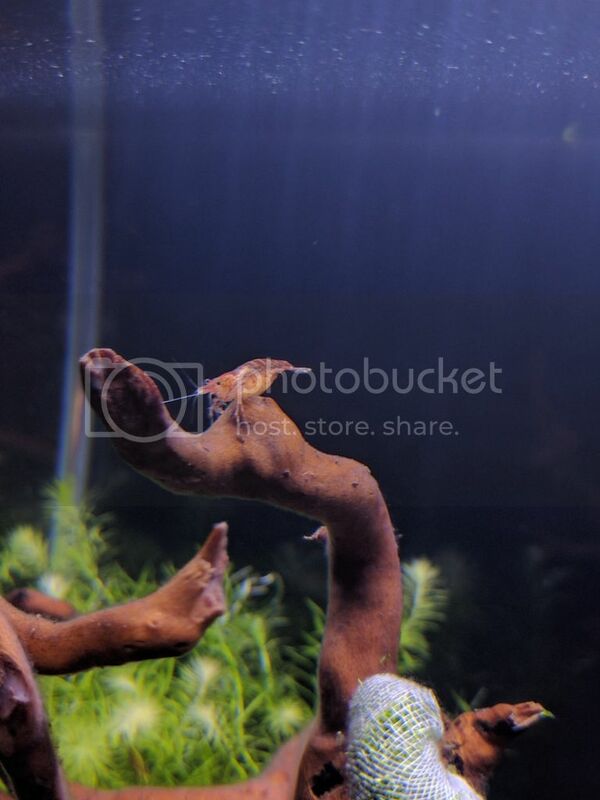 How long do you guys reckon before I purchase fish. Tank has been setup about 3 days now. Have been doing daily water changes to reduce ammonia leaching from aquasoil. Also, I'm getting a white slimy buildup on gold vine I'm assuming this will eventually stop growing or will I need a cleanup crew to help. Last edited by Rapayich; 12-12-16 at 08:56 PM. 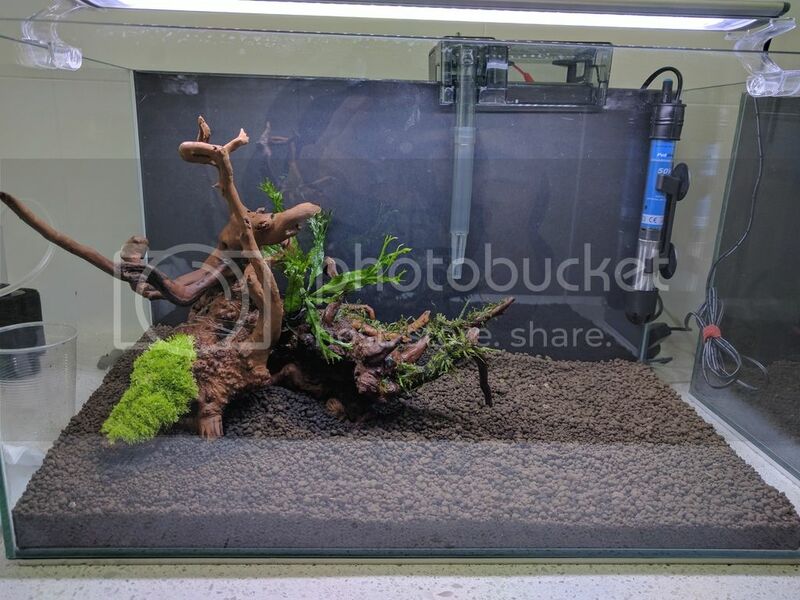 Made a few small changes to the positioning of plants in the tank as I'm making room for higher tech plants such as mini pelia, star moss or fissidens on the wood. 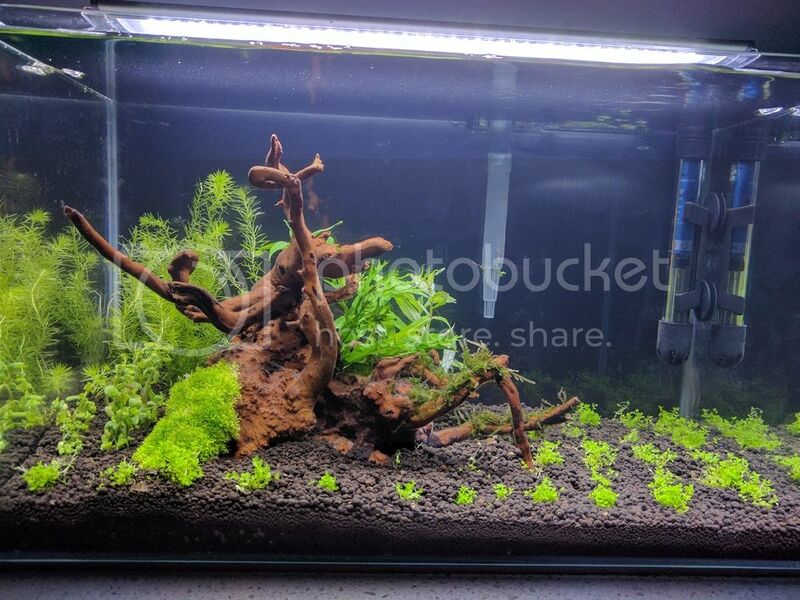 Some alanthera reineckii mini, pogosemon helferi and maybe some different background plants. 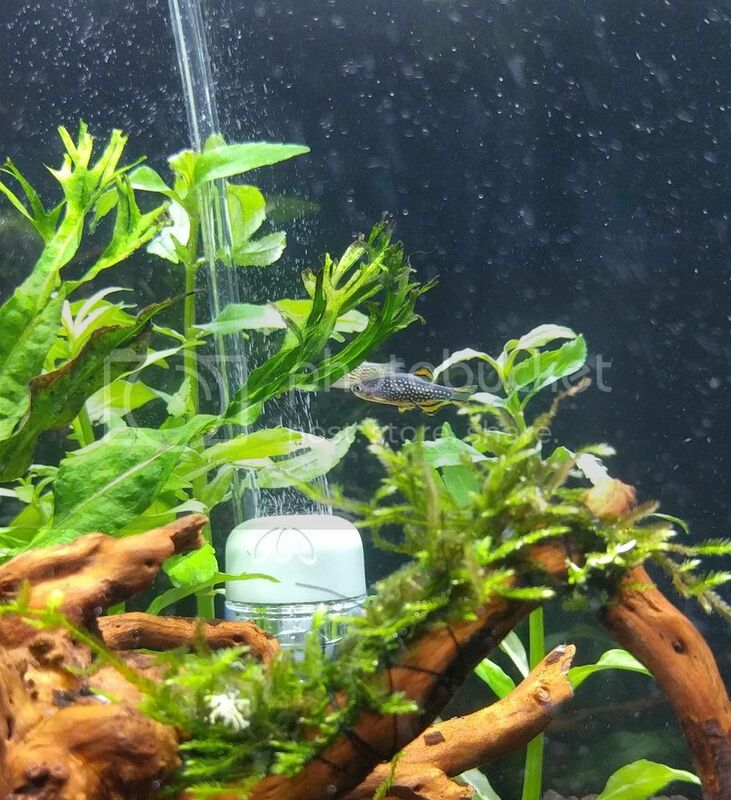 Also got a few cherry shrimp to help the tank cycle, already have 3 or 4 berried and a few babies crawling around the tank. 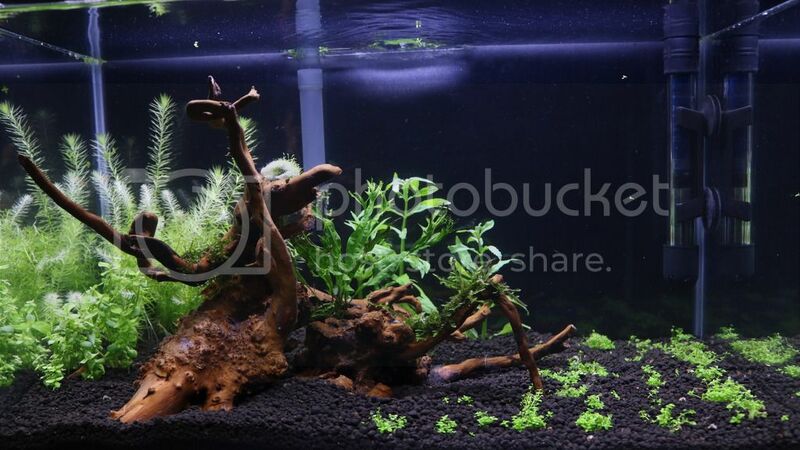 If any of you guys have these plants for sale or a spare co2 cylinder please PM me! Are you going to be using egg collection traps. They are the best thing. 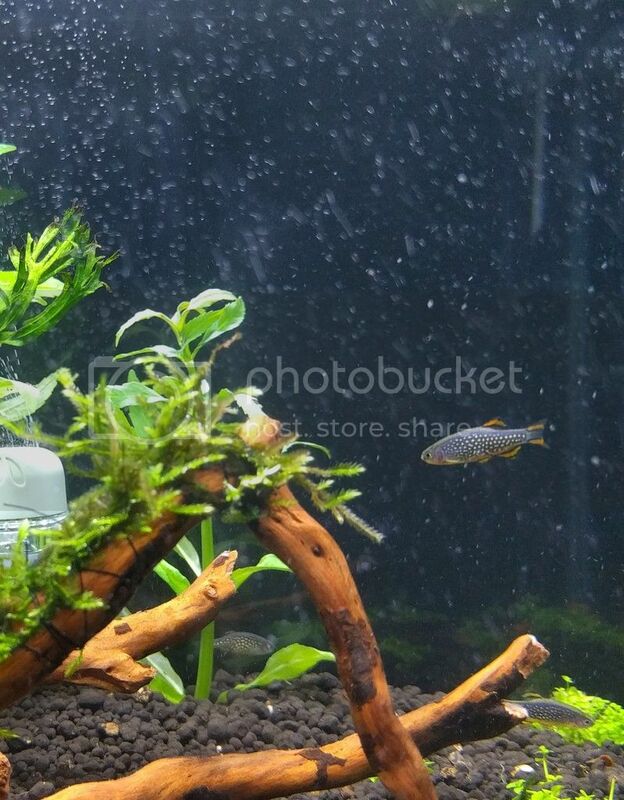 I use them for my Danio Erythromicron breeding. Hope they will fit in the devided tank. Have been keeping a close eye on your thread Mundi, looks to be working a treat. 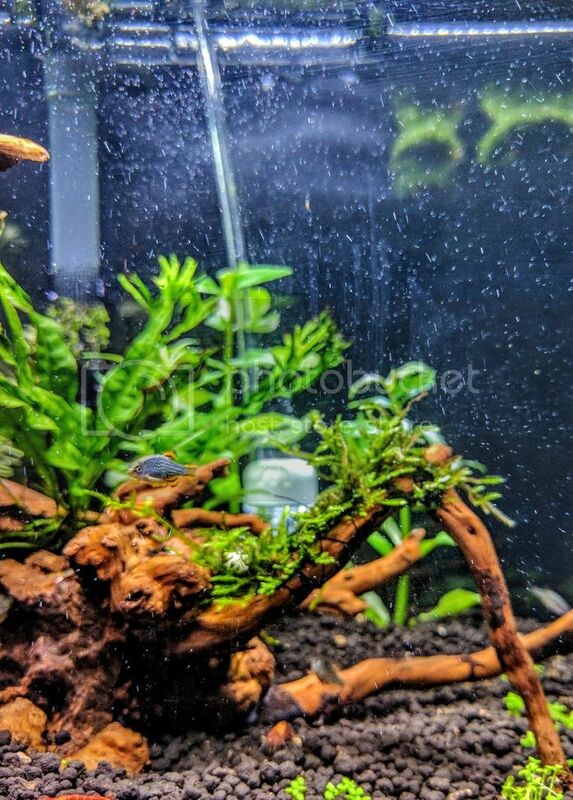 To start with I plan on moving the cpds into the breeder tanks for 24-48 hrs with Java moss and then moving them back to the main tank and see how that goes. Later when the Monte Carlo carpet is filled in I hope to siphon eggs out of there as I use to do with a HC carpet. If both fails will definitely look into the egg traps. Depends on your water change frequency and tap water parameters. On average about 18 months plus or minus a few months. Got some CPD's today 5 from one shop ( 3 Female and two male) to go into the main tank and a nice pair from another shop to go straight into a breeder tank. The idea of this is to have a wider variety of bloodlines as they won't interbreed too much. Tried taking a video on my phone but not sure if it will work or not. My brother also got a new camera which he took a better while tank photo with. Last edited by Rapayich; 28-12-16 at 12:10 AM. Looking good. I don't think the photobucket video can be embedded? Maybe someone else may know how. Last edited by Rebel; 27-12-16 at 11:15 PM. Last edited by Rapayich; 27-12-16 at 11:22 PM. Took a while but finally got some OK photos using my phone. Nice looking male! How many CPDs do you have in this tank?